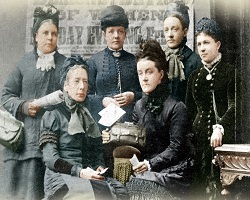 Join Tina Jackson, author of the forthcoming book Struggle and Suffrage in Leeds: Women’s Lives and the Fight for Equality, for this interactive workshop exploring the stories of women in Leeds. We will share and discuss your experiences of women’s lives, and look at how their stories are given context by current and historical events. Timed to coincide with International Women’s Day, we’ll explore how and why they need to be preserved, helping you record them for future generations.